Don’t you just love the smiles of children? They are genuine and contagious. What do you do when facing challenges? Could a smile help diffuse a situation? 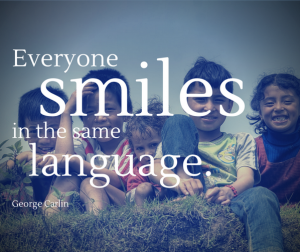 A kind smile demonstrates our human side. Connecting on that level often helps break through tension. It is also a visible reminder of bringing our best selves to others!